One of the biggest problems of today’s society is trying to find a personal means of transportation that satisfies all the needs we have, such as being fast, portable, cost-effective and environmentally-friendly. Bikes are obviously a great option, but they require physical effort – something that not everyone is able to provide. Another option that has recently been under the spotlight is the “hoverboard”, not the one used by Marty McFly, but those little devices with wheels that have no handlebar whatsoever. They are stylish, but are highly dangerous and put the user’s physical well-being at risk. Now, though, there is a new and strong contender to the trophy of “favorite personal mean of transportation”. OjO Electric is a scooter-like alternative vehicle, designed for adults who need to move around in a quick and practical way. This zero-emission Light Electric Vehicle (LEV) requires no license to be driven, thus being an option for everyone. 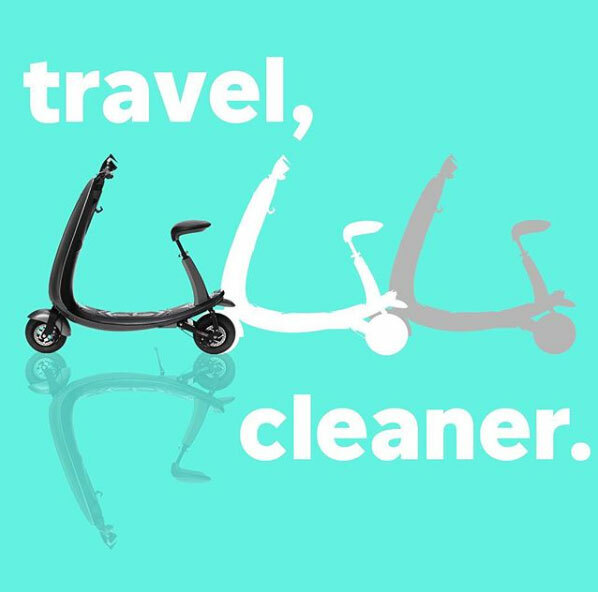 Also dubbed as “commuter scooter”, OjO debuted in the 2017 edition of CES, the world’s largest global gathering of innovation, and was rated in that same event as one of the top six tech items to pay attention to this year. It is equipped with a 48V lithium ion battery, which is enough to travel 25 miles at its top speed (20 mph or 32 km/h). Due to its small width, OjO fits perfectly in every bike lane in the world, and is also good to scoop through heavy traffic. Despite the small size, though, it is safe and sturdy, thanks to the heavy gauge aluminum chassis that supports users weighing up to 300+ pounds (136 kg). It is still light and portable enough, so that it does not become a burden to drive around. OjO also comes with several high-tech features, quite unusual to see in similar vehicles. Its interactive touchscreen control and entertainment center, with dual Bluetooth speakers, are excellent to have interactive commutes, while also delivering the best possible travelling experience. This LEV can be charged using any common 110V wall outlet, so there is no excuse to run out of power. If you are looking for a new way to commute, be sure to give a chance to this amazing vehicle – just like Lady Gaga herself did.